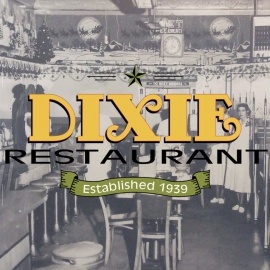 The Dixie is a landmark breakfast and lunch establishment in the heart of Old Towne Petersburg since the 1920s and in it's current location since 1939. 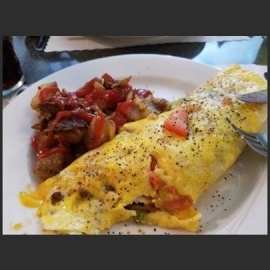 It has seen several owners over the years and remains a local favorite. We specialize in traditional southern cuisine. Our menu items include our famous Dixie Dog which is a red hot dog with mustard, onions and our tasty chili sauce. We also serve fried Salt Herring, Salmon Croquettes, Meatloaf, Chicken-N-Dumplings, made from scratch Pimento Cheese, Ham Salad, and Chicken Salad. We offer a variety of sandwiches, barbeque, burgers and hot-plate specials that change daily. Good Coffee, Good Food, Good People! Welcome to Wabi-Sabi, where everyone is home. If you're not here, you're not in Old Towne! Now OPEN in Old Towne Petersburg. Old Towne's Alibi: A Great Excuse to Eat and Drink. Founded in the Spring of 2014 By Dino and Stephanie Lunsford.